Top of the south Downhill race four. After a weekend away in Marlborough the Top of the south Downhill Series returned to Nelson and the Longest Downhill track in New Zealand - Fringe DH. The Weekend Began with a track walk and lines clinic with Kieran Bennett who kindly spent two and a half hours of his Saturday morning showing a bunch of groms and not so groms faster ways down the hill. Practice shuttles were run all Saturday afternoon so racers could get some more time on track. It was warm and sunny and the track was in perfect condition after a week of sunshine and after a few runs swept the rubble off the surface was running sweet. As it got dark on Saturday night the rain began and it continued for most of the night before clearing before dawn leaving us crystal clear blue skies but lots of fog hanging around keeping the moisture pinned down. First runs in the morning were a very sloppy mess. Race organiser Hamish Berkett tries not to get distracted by the view. After a slippery sloppy morning the track began to dry out and by race runs was running perfect. Kieran Bennett and Emma Bateup seeded fastest but the others were chomping at their Heels. Race runs were a slightly different story. Emma's 7.11.47 Beat out a charging Deanna Elvines by three seconds. But in the Mens Guy Gibbs managed to sneak under the 5 minute barrier with a 4.59.16 to beat Kieran Bennet's 5.05.11 though KB crashed on the Big old rootball about half way down. Wizard of DME course creation Brendan Morton laying it in. The series now takes a weekend off before returning to Marlborough on the 8th of July for the season finale at Justin Leov's Jentree farm in the Taylor valley. 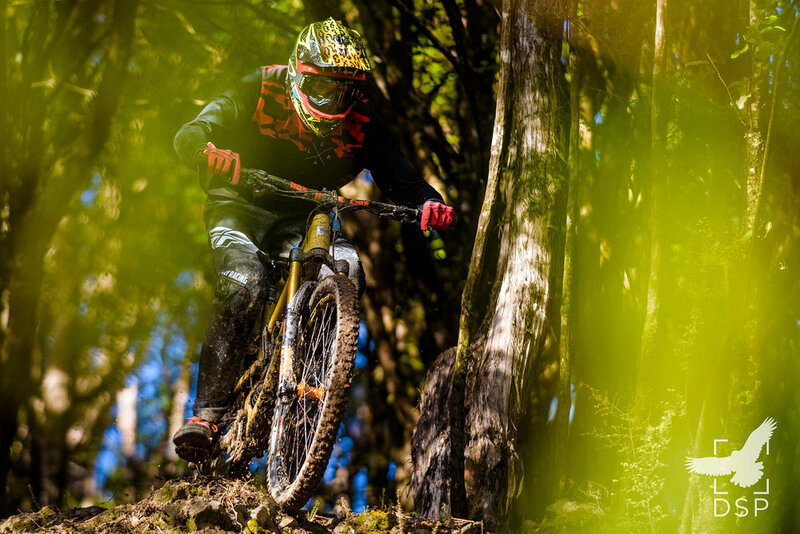 The Top of the south Downhill series Returns to Nelson and New Zealand’s longest Downhill track. Nelson Downhill Winter series - The racing never stops. 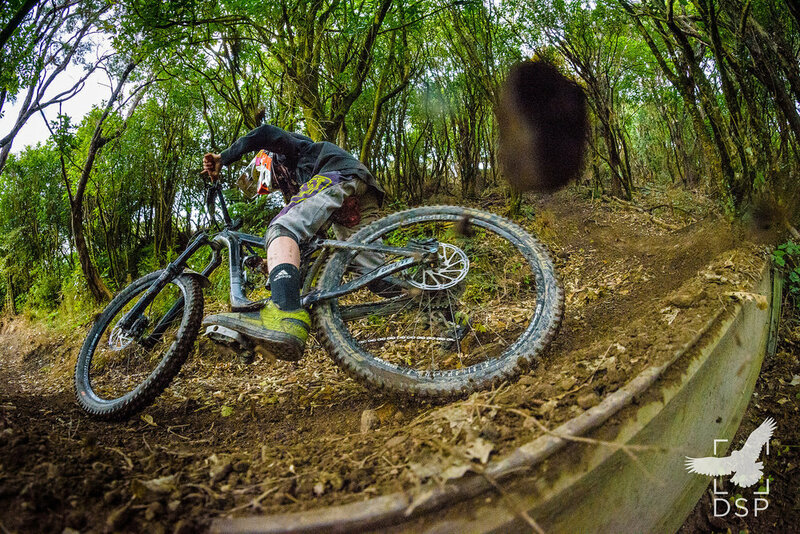 Gallery and writeup from Nelson DH winter series double header weekend. The sneaky shots are already out but now the new Trek Session is ready for its grand unveiling! 29ers are here to stay! After an arduous ten hour journey compulsory stops to an indoor trampoline arena and to ride minibikes, the Propain Dirt Zelvy team finally assembled below Ben Nevis for a weekend of racing at the BDS. Watch Loic, chased by a drone, ride his local DH track..... at night! Join the team for the third episode of the Atherton Diaries as they travel to Lousa for some intensive Fox testing, enjoy Dan Atherton’s Dirt Jumps in the Dyfi sunshine and face the first World Cup of the 2017 season at Lourdes. Šimon Rus, one of the best downhill junior riders in Slovakia shows us his enduro skills on some fresh, loamy, local trails. One town on the top of the south island definitely has its fair share of lady shredders - check out the Shred Like a Girl Enduro from Nelson MTB Club! Nelson saw a fair few professional faces this summer as riders escaped the winter in the Northern Hemisphere, we have compiled a list of our favourite trails in the town and had a glimpse of why Nelson might just be the best place to ride in the south! The Santa Cruz Coppermine Epic in Nelson hit its 10th Anniversary this year, we went along for the ride and checked out this addictive race. Nelson Sprung Super D Round 1 Results. Nelson Mountain Bike Club has started building some jumps. They're gunna be sweet.